ARE YOU GETTING MARRIED - OR KNOW SOMEONE WHO IS? 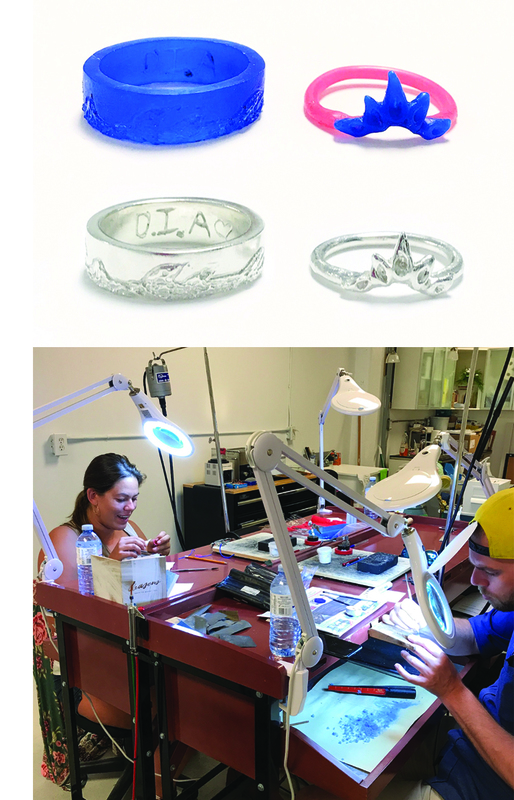 JOIN US IN THE RAWSPACE JEWELLERY STUDIO FOR A PERSONALIZED AND MEMORABLE EXPERIENCE TO MAKE YOUR OWN, OR YOUR PARTNER'S WEDDING BAND IN OUR PRIVATE 2- PART WAX TO METAL WORKSHOP! GETTING READY TO TIE THE KNOT? LOOKING FOR A PERSONALIZED AND MEMORABLE EXPERIENCE TO MAKE YOUR OWN WEDDING BANDS? OUR PRIVATE WAX TO METAL WEDDING BAND WORKSHOP IS A 5 HOUR, TWO-PART WORKSHOP. IN PART 1 (2.5 HOURS), YOU WILL LEARN THE BASICS OF WAX CARVING. YOU WILL LEARN HOW TO CARVE YOUR OWN RING (OR YOUR PARTNER'S RING), OUT OF WAX USING A VARIETY OF TOOLS AND TECHNIQUES. ONCE YOUR PIECE HAS BEEN CARVED IN WAX, WE WILL TAKE IT TO CAST IN STERLING SILVER OR YELLOW/WHITE/ROSE GOLD AT A CASTING HOUSE OFF-SITE. IN PART 2 (2.5 HOURS), YOU WILL LEARN HOW TO CLEAN, POLISH AND FINISH YOUR RINGS. THEN CELEBRATE WITH A COMPLIMENTARY SPARKLING TOAST AT THE END OF THE WORKSHOP! CHEERS! EMAIL US AT CONTACT@RAWSPACE.INFO TO START PLANNING YOUR PRIVATE WAX TO METAL WEDDING BAND WORKSHOP NOW… WE WOULD LOVE TO BE A PART OF YOUR STORY!